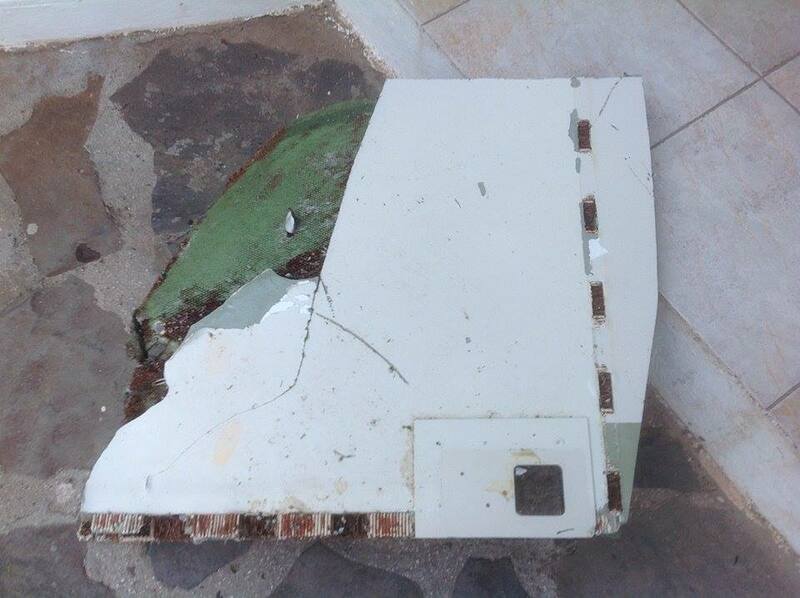 A piece of what appears to be a piece from inside MH370’s cabin has been found on Rodgriques Island in Mauritius. It was found by two residents of Réunion. The picture above was posted to Facebook by Marouk Ebony Hotel. Don Thompson has pointed out that a pattern on the skin of the piece matches Malaysia Airlines cabin material. It’s hard to tell from this somewhat out-of-focus photograph, but the barnacles look relatively fresh, suggesting that the piece had not been on the beach very long before it was discovered. (Here’s a hi-res version.) If marine biologists are able to examine the barnacles quickly, they could learn quite a bit about the species makeup and age of the animals; testing the shells for barium and oxygen isotope levels could yield clues about where the piece drifted. PS Here’s an interesting shot of the Flydubai wreckage. This is what happens to a fuselage after it impacts at several hundred miles per hour. Bears comparison to the Germanwings wreckage, which met a similarly ungentle fate. 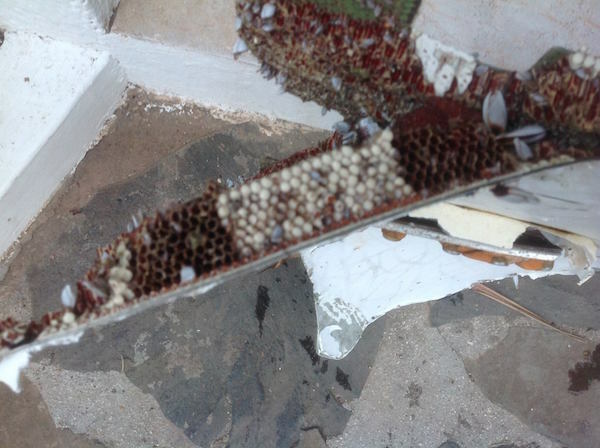 MH17 debris, which came apart at altitude so that pieces fluttered down, consisted of substantially larger parts. Based on the comments I’ve seen so far, it seems that many people feel that the fact that the interior of the cabin was shredded like this means that the plane could not have ditched. Perhaps even a botched ditching such as Ethiopian Airlines Flight 961 should be considered unlikely. Richard’s analysis of the oceanic drift of floating debris from MH370, based on the model available on the Adrift website (to which another tip of the hat is due), has a wide variety of outcomes in terms of general understandings. An important one is this: the probabilities derived for arriving at the various locations in the western Indian Ocean where MH370 debris has been found may be inverted so as to derive an estimate of how many individual fragments were left floating on the ocean after the crash. The answer is: upwards of 10,000. 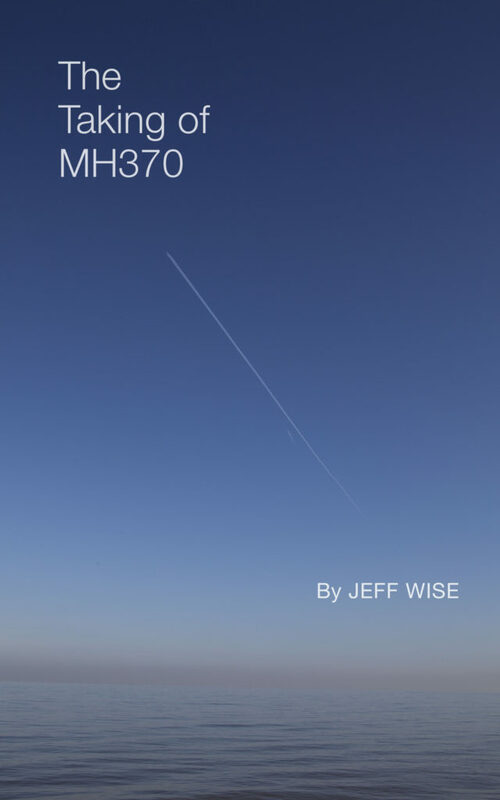 In itself that number indicates that the final demise of MH370 was a highly-energetic crash. It seems to me that that number might be even greater, if one considers that all the pieces discovered so far (except, perhaps, Blaine’s) were found by tourists who stumbled upon them by accident; presumably only a small subset of the total coast in this region is subject to this kind of serendipity. By way of comparison, 650 pieces of debris were recovered in the course of a fairly exhaustive air and sea-based search for Air France 447. Thanks for satellite images and link to the description. Well… the existence of contrails visible in these images strongly depends on our imagination. As to the timing of the Curtin boom: since it requires to throw out the sat data I don’t see a problem anyway. If someone wants to consider that scenario the timing has to be compatible with an out-of-fuel scenario, nothing more. Much bigger problems arise if you want to connect the Curtin boom with the Maldive sighting: since the Kudahuvadhooans very consistently reported a sighting around 00:15 UTC (06:15 local time just after sunrise) that lowly and slowly flying plane can’t have made it to the location of the Curtin boom in time, especially if the impact sound around 00:25 UTC was coming from the sea floor rather than from the surface. @Olexandr, you said that you believe Dr. Duncan’s second paper was flawed in comparison to the first one. In order to avoid complete confusion: What kinds of flaws did you make out? His location and timing revisions (event taking place further east and therefore earlier) or his conclusions re: the most likely origins of the sound? Re the Curtin boom: what I find fascinating about this is it occurred about 01:30UTC, or about 70 minutes engine flameout. If it had occurred 1 hour before, we would have less grounds to connect the two. The sound was reported at the time as resembling an “Oomph”. Personally, I think the only thing you could tie it up with would be a fuel tank implosion at depth. If this had happened, it would have created a powerful shockwave. But would it have been powerful enough to be picked up by the hydrophones? I am not an expert in these matters so I wouldn’t be confident to say one way or the other. I know its contentious, but just consider this possibility; aircraft runs out of fuel 00:19UTC, aircraft glides under pilot control for up to a further 20 minutes before making a controlled ditching, after which it could have taken another 20 minutes or more before sinking, centre fuel tank implodes at depth (wing tanks more likely to have been damaged during the ditching than the centre tank) So in this scenario, the timing of the Curtin event could match MH370 sinking. With empty tanks, aircraft would have a degree of buoyancy, and might have taken some time to sink. ??? Of course it does not require. Who said? @Rob: I couldn’t tell from your post, but i fear you may be confusing event time with recorded time. Curtin is saying that – if both Leeuwin and Scott Reef anomalies were caused by the same thing – then an event occurred at 00:25 UTC, whose sound waves took an hour to travel at the speed of sound through the ocean, hitting one of the listening devices at 01:30 UTC. I realise that the supposed “sound of plane imploding as it hits seabed” isn’t yours, but I hope that you realise how odd it sounds. Until recently, collapse depths of submarines were <300m and even now rated/test depth ~500m. So a/c would go pop long long before it gets anywhere near the sea bed. Even we assume a/c goes "pop" at much shallower depth, we need to believe that the hull is in one piece (or large enough pieces with airtight integrity are). As for hitting the seabed, I cannot believe that this could be done with enough speed to make any significant underwater noise. From what I read around this subject at the time and subsequently, even the surface impact would not be sufficiently energetic to generate the signal detected. I would have thought seismic activity is a far more likely explanation for Curtin acoustic observation. @Olexandr, isn’t it fairly obvious that the sat data can’t be any good if the plane crashed at the location of the Curtin boom? Is that location on the 7th arc? Would the plane have to have gone South – as the BFOs seem to suggest – in order to arrive at a location West of the Maldives? If the plane really caused the Curtin boom the sat data can’t be any good. That’s basically what Dr. Duncan said, too. If the sat data turn out to be doubtful for some reason, he thinks the Curtin boom should be revisited. Thanks for your comments, everyone. I’ll close them now and invite everyone to share their thoughts at the latest post. Previous Previous post: Flydubai 981: What Really Happened?